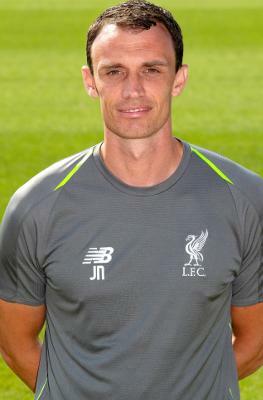 Jon Newby came through the ranks at Liverpool joining the club at the age of nine. He went on to play in the FA Youth cup winning team in 1996 scoring in the final at West Ham United and then went on to make four appearances for the first team, including a Premier League debut against Middlesbrough in January 2000. Jon left the club at the age of 21 and then made nearly 300 football league appearances for clubs such as Bury, Sheffield United, Wrexham and Morecambe. He joined the Academy staff in 2014 working with the U9s and U12s before becoming head of U11s in 2017.